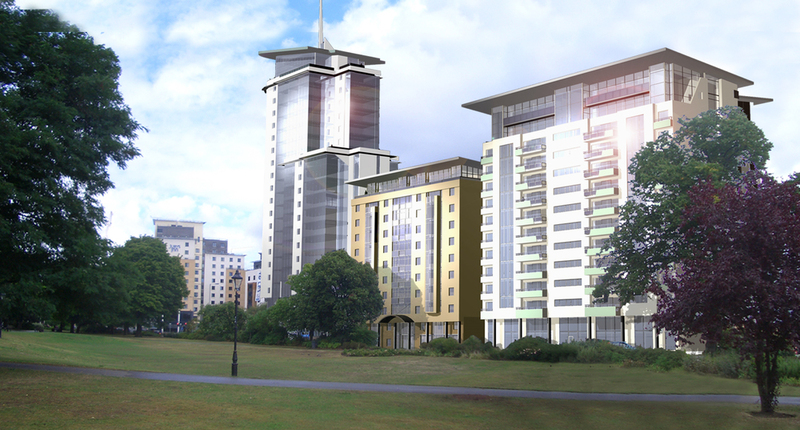 Designed for the Imperial Property Co, PLC obtained planning consent for this landmark, mixed-use regeneration scheme which reinforces the eastern boundary to East Park in Southampton city centre. The tallest element (rising to 83m), at 21 storeys in height, is designed as a four star hotel for operator Radisson SAS. It includes 204 bedrooms and a roof terrace. Alongside, the 11 storey apart-hotel building provides 122 serviced apartments. 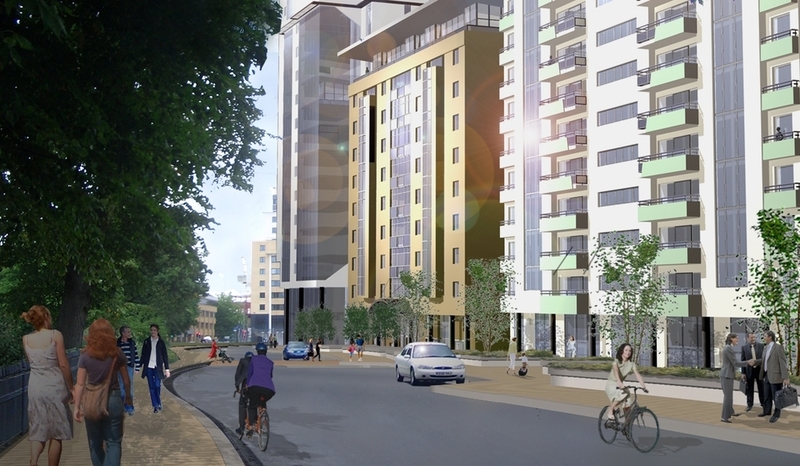 In addition, 225 apartments are accommodated within a 14-storey residential block whilst the 12 storey offices, circa 10,000 sqm gross floorspace, are located to the eastern part of the site. This £110m scheme includes public realm improvements incortporating a new public piazza.